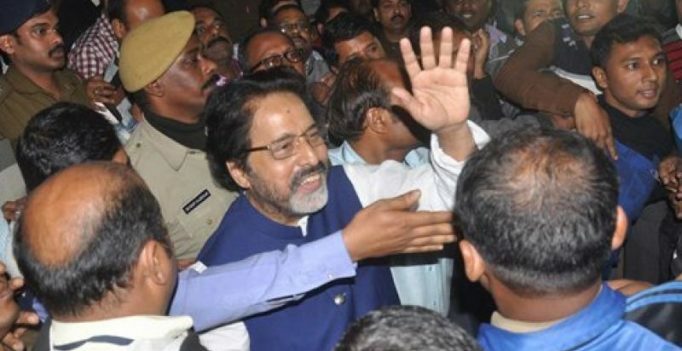 Bhubaneswar: A special court on Tuesday extended by four days the CBI remand of arrested TMC MP Sudip Bandyopadhyay. Another TMC MP Tapas Pal has been sent to judicial custody after his six-day remand in the CBI custody. Both the TMC MPs were arrested in the Rose Valley chit fund scam which allegedly duped investors of Rs 17,000 crore in different states including Odisha and West Bengal. The TMC has planned a massive rally here tomorrow alleging “vendetta politics” behind the arrest of the two party MPs. TMC activists also staged a demonstration on Monday before the CBI state headquarters here and near the court.